This is a custom instument with superb workmanship. 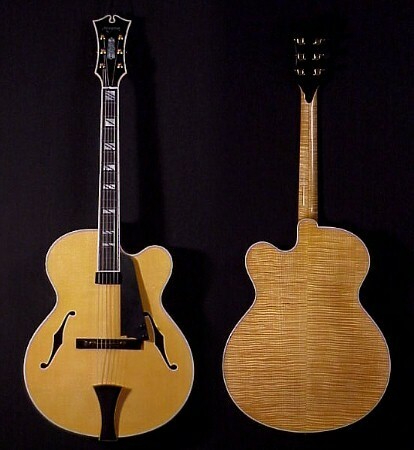 Ted Megas is one of the finest archtop builders alive today. We are proud to be a dealer for his exquisite instruments! We have sold this Athena and expect to have another just like it in August or very early September. Keep in touch !